Beginning October 16, 2013, prior express written consent is now required for all autodialed and/or pre-recorded calls or texts sent or made to cell phones and pre-recorded calls made to residential land lines for marketing purposes. As Marden-Kane reported last year, it may be all too easy to get in trouble if you use data collected in a prior promotional campaign. If you plan on using any phone numbers that were collected in a sweepstakes or other promotion, make sure the disclaimers that were available to the consumer at the time of collection clearly inform the consumer that you would be using the numbers to place calls or texts to them to market your services or products in the future. Compliance with the E-SIGN Act satisfies this requirement, meaning that electronic or digital forms of signature are acceptable (i.e., agreements obtained via email, website form, text message, telephone keypress or voice recording). 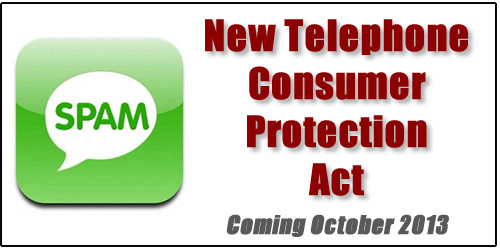 However, the consumer must receive a “clear and conspicuous disclosure” that they will receive future calls that deliver autodialed and/or pre-recorded telemarketing messages on behalf of a specific advertiser; that their consent is not a condition of purchase; and they must designate a phone number at which to be reached (which should not be pre-populated by the advertiser in an online form). Limited exceptions apply to this requirement, such as calls/texts from the consumer’s cellular carrier, debt collectors, schools, informational notices and healthcare-related calls. If a dispute concerning consent arises, the advertiser bears the burden of proof to demonstrate that a clear and conspicuous disclosure was provided and that the consumer unambiguously consented to receive telemarketing calls to the number they specifically provided. It is a best practice for advertisers to maintain each consumer’s written consent for at least four (4) years, which is the federal statute of limitations to bring an action under the TCPA. If you need help sorting out whether you can or can’t use consumer phone numbers collected in a past campaign, contact us.